This post is sponsored by Disney and Thinkjam. All opinions are my own. I was so excited to hear that Pinocchio was coming out on Blu-ray. This was one of my favorite movies growing up and I wanted to share it with our kids. I always would wish on a star before going to bed because of this movie. 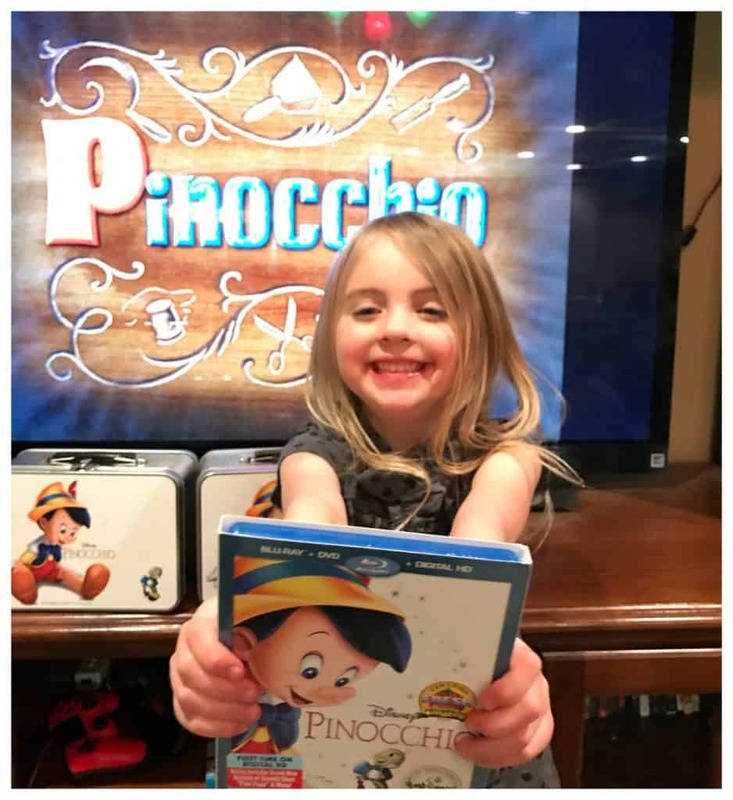 We are always looking for a reason to throw a party and what better way than having a Pinocchio moving watching party! We pulled out our blankets, popped some popcorn and were able to enjoy a fun family film. 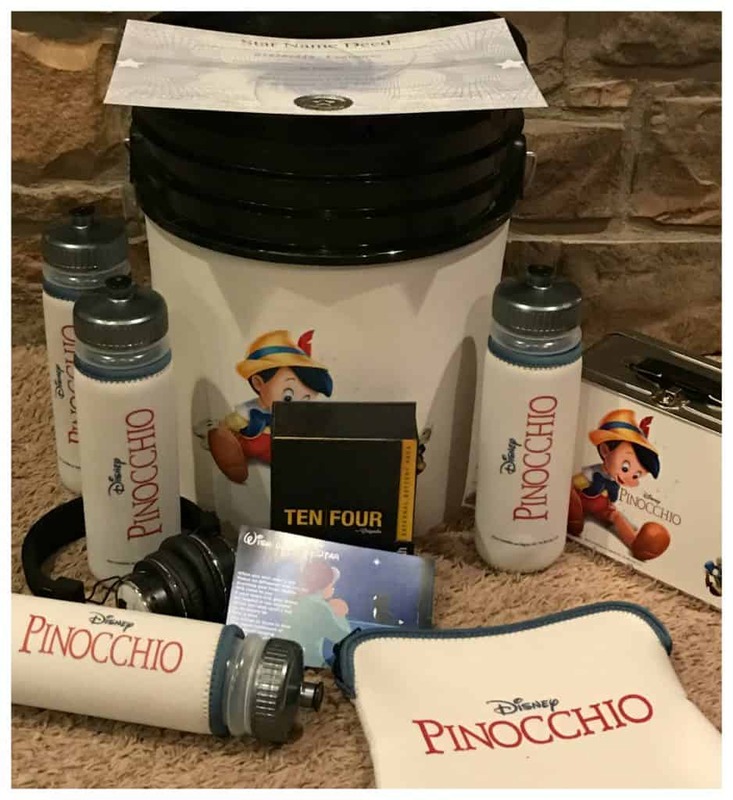 As part of our movie night, we received a Pinocchio movie night kit to helps make the evening perfect. 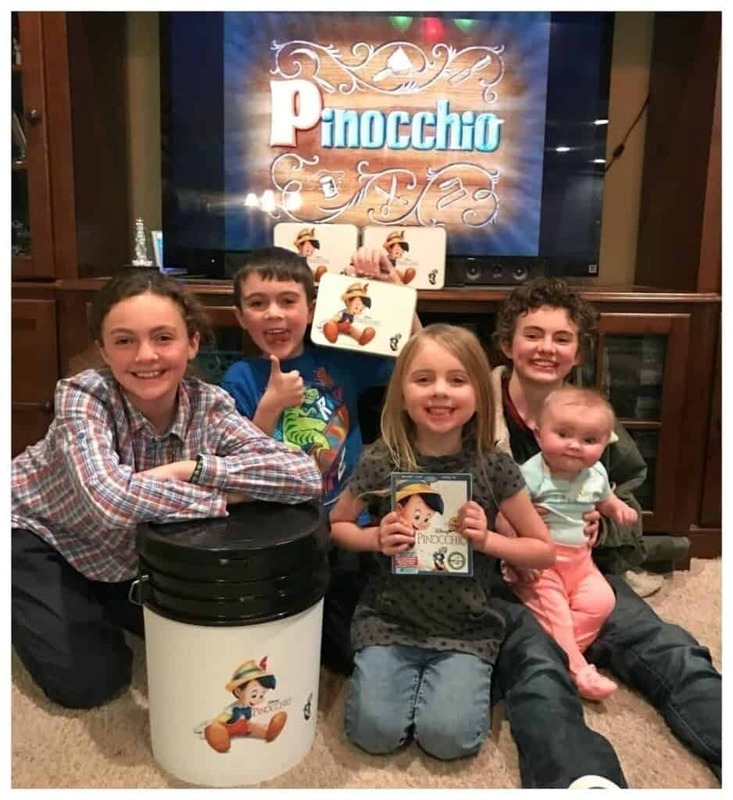 We received the Pinocchio Blu-ray (with Digital HD card to unlock the digital copy via Disney Movies Anywhere), Snack Bucket, Tablet Cover (so we could watch the digital copy on our tablet), Tablet Portable Charger, Wireless Headphones, 4 Lunchboxes, 4 Water Bottles and 1 Family Star Registration – personalized! I love that we have a digital copy on Disney Movies everywhere so we can watch Pinocchio on the go! 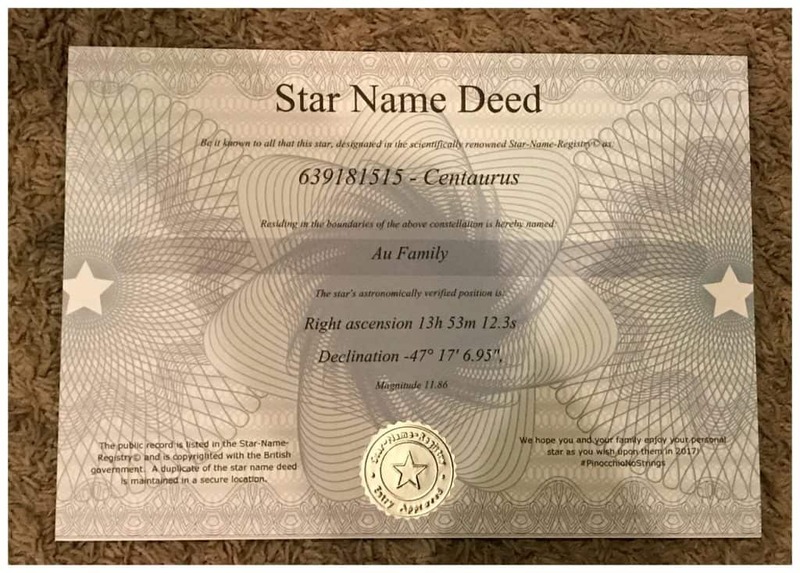 My kids were so excited to get our star deed with our very own star named after our family! How cool is this! Now every time my kids are wishing on a star they wonder if it is our family star that they are wishing on. This definitely makes the Pinocchio movie more special to use every time we watch it. It is always fun being able to share movies of my childhood with my kids. We had so much fun watching the movie together. I recommend taking the time to watch the special features because they always add a great behind the scenes element to the movie. I always appreciate a movie more after learning about how it was made. 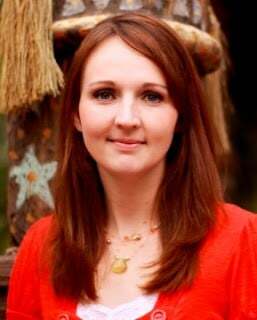 · Walt’s Story Meetings: Pleasure Island – The Pleasure Island scene in “Pinocchio” had much more development than what is seen in the film. Join Pixar’s Pete Docter and Disney historian and author J.B. Kaufman as they explore artwork recently discovered in Disney’s animation research library revealing some of the attractions, gags and games, which Disney animators created for this iconic location of the film, that never made it on screen. · In Walt’s Words – “Pinocchio” – Hear Walt himself discuss the making of “Pinocchio” through archival recordings and interviews. · The Pinocchio Project: “When You Wish Upon a Star” – Music influencers Alex G, Tanner Patrick and JR Aquino from Disney’s Maker Studios, a global leader in short-form videos, gather in a creative workspace to create their rendition of the film’s signature song, “When You Wish Upon a Star,” and produce a fresh new music video. · Oswald the Lucky Rabbit in “Poor Papa” – This recently restored and scored 1927 short features Oswald the Lucky Rabbit who gets multiple visits from the stork and is forced to attempt various methods to help stop the onslaught of baby deliveries. 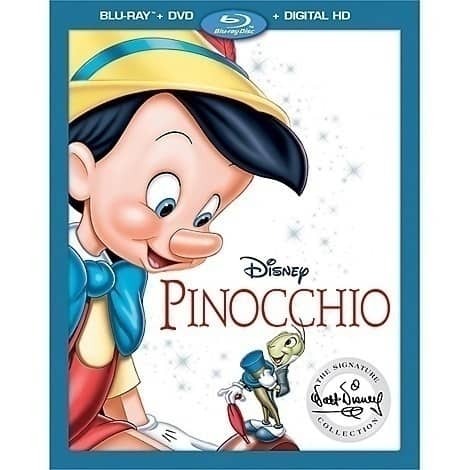 · Classic Bonus Features – These offerings from prior home entertainment releases include hours of bonus material, such as the making of “Pinocchio,” deleted scenes, sing-alongs, storyboards and theatrical trailers. Disney Pinocchio is on Blu-ray and Disney Movies Anywhere NOW!